The Charity Commission was at the centre of many of the big stories this year, starting with the Cup Trust tax avoidance scheme and culminating in the regulator being denounced by the National Audit Office for not providing value for money. The commission was criticised when it emerged in January that it had allowed the tax avoidance vehicle the Cup Trust – which received donations of £176m, claimed £46m in tax relief, and gave just £55,000 to good causes over two years – to continue operating as a charity. The commission subsequently opened a statutory inquiry into the Cup Trust and appointed an interim manager to run the charity. Mountstar PTC, the charity’s corporate trustee, appealed to the charity tribunal against these decisions, but lost. 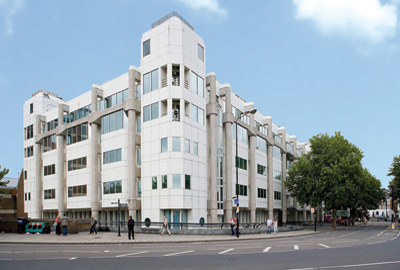 The Cup Trust affair prompted the Public Accounts Committee to ask the National Audit Office to examine the work of the Charity Commission, which resulted in a highly critical report into the regulator. The NAO’s report, published in December, found the commission to be an ineffective regulator that did not give value for money. The report said that the regulator did not do enough to deal with abuse of charitable status, failed to take effective action where there were serious regulatory cases involving charities and could be slow to act when investigating regulatory concerns. The regulator accepted many of the recommendations of the report and said that it had already begun work on addressing some of its shortfalls, but rejected the conclusion that it did not offer value for money. In response, the Cabinet Office launched a consultation into what powers the Charity Commission might need to do its job more effectively. This came after it emerged that Sam Younger, chief executive of the commission, would stand down when his contract expired in August next year. In June, the Public Administration Select Committee said the Charities Act 2006 was "critically flawed" on public benefit and that parliament should reinstate the presumption of public benefit for charities for the advancement of education, religion and the relief of poverty. The report said that changes in the act left the Charity Commission in an "impossible position" and led to costly charity tribunal cases involving independent schools and religious charities. The government’s subsequent response to the PASC report and last year’s review of the Charities Act 2006, carried out by Lord Hodgson, was published in September. The response said ministers would not create a statutory definition of public benefit, as PASC had recommended, or allow payments to trustees at will, as Hodgson had called for. Hodgson broadly welcomed the government’s response to his review but said he was disappointed that it did not accept his recommendation to increase threshold for compulsory registration with the Charity Commission to be raised from £5,000 a year to £25,000. The charity tribunal turned five in 2013 and, as well as the Cup Trust case, received a steady flow of appeals, including a case involving the Bath Recreation Ground, home of Bath Rugby Club. The case involving the application for charitable status by the Preston Down Trust, a Plymouth Brethren congregation from Devon, was put on hold until next year. The trust originally appealed to the tribunal in July 2012 after the commission had refused its application for charitable status on the grounds that it did not provide sufficient public benefit. In February this year the trust was given permission to put on hold its appeal because of the potential cost of the proceedings. The latest stay on proceedings, granted in September, runs until January. Finally, more support for chairs also arrived this year, with the launch in October of the Association of Chairs.